KITZBUEHEL, Austria — Thomas Dressen ended Germany's 13-year wait for a men's World Cup downhill victory on Saturday, upsetting the pre-race favorites in the classic Hahnenkamm race. Starting 19th and taking advantage of improved visibility during a brief spell of sunshine on a cloudy day, Dressen sped down the 3.3-kilometer Streif course in 1 minute, 56.15 seconds to beat then-leader Beat Feuz of Switzerland by 0.20 seconds. "I couldn't believe it when I finished and saw the '1.' I thought they were making a joke," the 24-year-old Dressen said. "I had to look at the timing board twice to believe it. It's really been a dream to win Kitzbuehel one time. It's incredible." Celebrating in the finish area and watched by more than 40,000 spectators, Dressen screamed for joy, holding both skis above his head before kneeling down for a moment. "I was trying to soak up the atmosphere," said the first German winner of the Hahnenkamm downhill since Sepp Ferstl won it twice — in 1978 and 1979. Attending Saturday's race, Ferstl was among the first to congratulate his successor. "That Ferstl-Streif myth has finally ended," the 63-year-old Ferstl said. "I am happy that I can say now, 'Thomas has won it as well.'" Hannes Reichelt of Austria, who won the race four years ago, was 0.41 behind in third, and Aksel Lund Svindal trailed by 1.12 in eighth. The Norwegian, who won Friday's super-G on the same hill, remained in the lead of the downhill standings, 10 points clear of Feuz. The German men's team had not won a downhill since Max Rauffer triumphed in Val Gardena, Italy, in December 2004. Another victory, however, seemed only a matter of time after the young German speed team of Dressen, Andreas Sander and Josef Ferstl, son of the two-time Kitzbuehel winner, posted several top results in the past two seasons. Ferstl won a super-G in Val Gardena, Italy, last month. On Saturday, Sander placed sixth while Ferstl was 20th. "We have a super team, also with the coaches, the ski technicians, the physiotherapists," Dressen said. "We try to learn from each other and that's what brings us forward." A downhill silver medalist at the 2014 junior world championships, Dressen got his fifth top-10 result this season, including his first career podium by placing third in Beaver Creek, Colorado, in December. "For me it is a surprise that it went so well," Dressen said following his win on one of the most difficult men's World Cup courses. "I struggled in the training, especially in the steep section. Today I skied that well for the first time." Getting his first victory in Austria was special to Dressen, who moved to the neighboring country as a kid to study and learn racing at the ski school in Neustift in the Tyrol province. Also, he lost his father, Dirk Dressen, in a ski lift accident in nearby Soelden in 2005. "I was in Neustift for a year and then in Saalfelden for five more years. 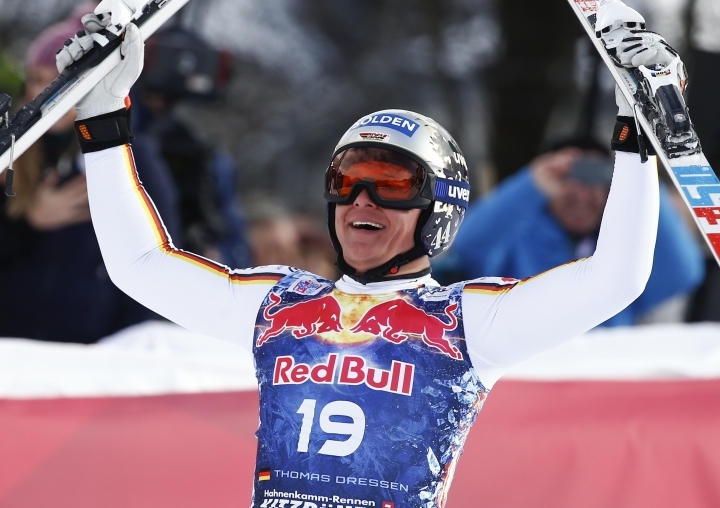 That has definitely been the right way for me," said Dressen, who was born in Garmisch-Partenkirchen. The Bavarian resort will host men's World Cup races next weekend. Feuz, the downhill world champion, was starting to believe he had won the race after his leading time was still holding up after 18 starters, with nearly all favorites having completed their runs. 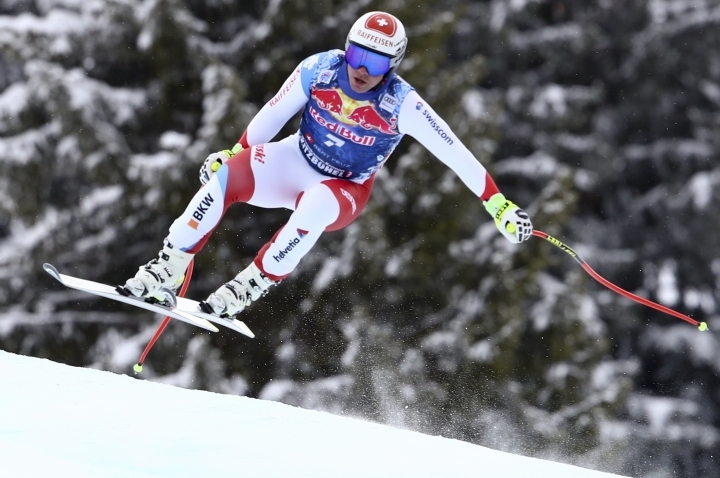 Several racers, most notably Olympic champion Matthias Mayer and fellow Austrian Vincent Kriechmayr, led the Swiss skier halfway through their runs but lost their advantage on the challenging finish section. "I am very glad with second place. 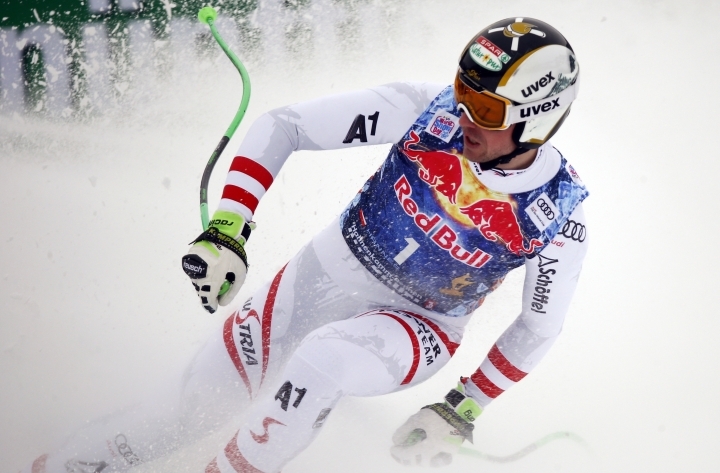 In Kitzbuehel you are always glad when you get to the finish," Feuz said. "Last year I crashed here so it wasn't easy to get that out of my head." 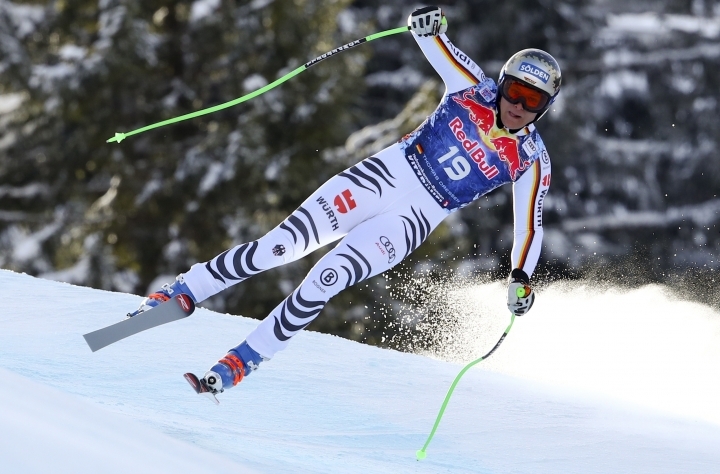 The 78th edition of the Hahnenkamm races end with a slalom on Sunday.